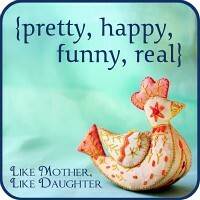 Pretty, Happy, Funny, Real. And a Hat. | House Unseen. Life Unscripted. What's better than a slice of freshly baked bread covered in altogether too much butter? So very happy to have homeschooling friends to do math with on a sunny Wednesday morning. Bring it, Lent. I'm ready. I'm dying over Mary and the baby row. And now I want some butter- with a side of bread. The hat picture is hysterical. Caught mid bite. Love! note. At this moment, I would really like freshly baked bread with too much butter. That is all. I remember February up yonder, seems to me I made it through with lots of bread, butter, babies, and beer. I don't think you heard the last part of the memo, but girl, you got the rest covered. Wow..I'm totally ah-mazed that your older girls do MATH when they get together with their friends! There is not a snowball's chance in you know where that I could get my girls to do school (and especially not math) when their friends were around. They would be blah, blah, blah, blah the whole time and wouldn't get anything done. Love your tree & sky photo. Probably the only way to deal with the incessant winter is to photograph it. Ahahaha I thought that was cheese but it's so much better that it's butter - my kids would LOVE it if I just let them eat cold butter, they'd probably pick it off and leave the bread! Yummy fresh bread, oh that looks delish. The babies are adorable, and I'm also impressed at the math-doing girls! One day I'll figure out how to reply to the comments on my blog, but to answer your question, the lens is the 50mm/1.8. I got it for Christmas and I LUV it! Oh and you should join our momtographer group on FB. I'll send you an invite!!! Ooooh, that lens is the only thing on my mama-treat list right now. Someday, my precious. Someday! I thought the butter was cheese! My kids would probably pick the butter off and eat it, then eat the bread! Ahhhh the good ol' days when I was homeschooled and could lay around doing my workbooks on the floor. Can't believe I'm gonna be on the other end of it before to long as the cranky schoolmarm. 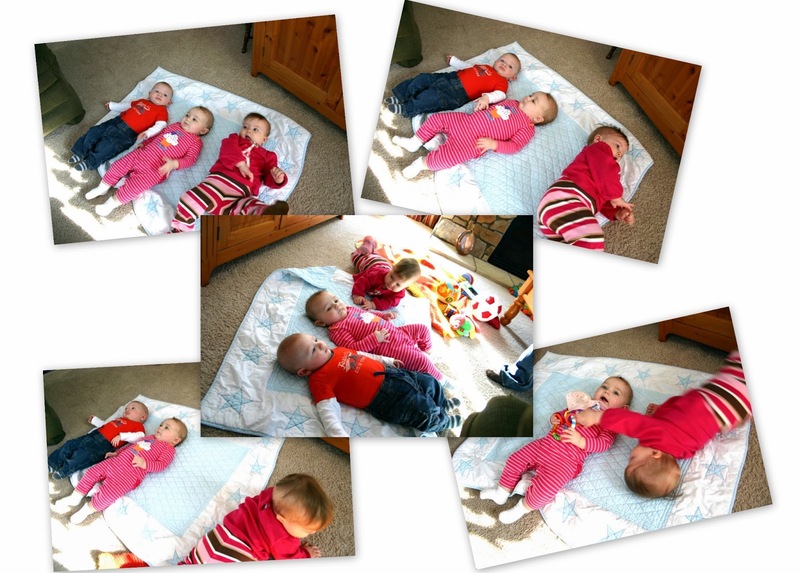 So many squashy babies in one place, I'm losing my mind over the cute. Ok I love the bread and butter with your baby! The butter came out of the fridge still to cold to smooth on the bread so it just barely clings. This is our M. O. too! Why did I think that was cheese? I think here we are seeing the stark differences in climate between Texas and Michigan, as reflected in the consistency of spreads. Those babies are the darlingest. That girl eats butter like I eat butter. She knows good things. Chunks of butter, yum. I've always found it hard to spread anyways. Beautiful pics, love Cecelia's expression in the first! No such thing as too much butter. Now that is how you do bread and butter!